Isn't it so that apple puts identification checks/chips in its cables with the purpose to stop the use of third party cables? I wonder how busy Anker customer service is, because that depends on two main factors. The number of customers is an obvious one. But the type and quality of products is another one. There isn't much to support about a cable or a powerbank. If the quality of the product is good then the number of customers that need support is lower than if 30% of the products has issues. In other words a company with a 1000 customers can have a less busy helpdesk than one with a 100 customers. ANKER, were did the name come from? Anker is a German word (anchor). Who was the one who has chosen this name for a Chinese company? [image] Hi, Community Members! As you may know, Anker is now the #1 portable charging brand on Amazon. A painstaking, years-long process of brand development has resulted in remarkable success that we’re quite proud of. 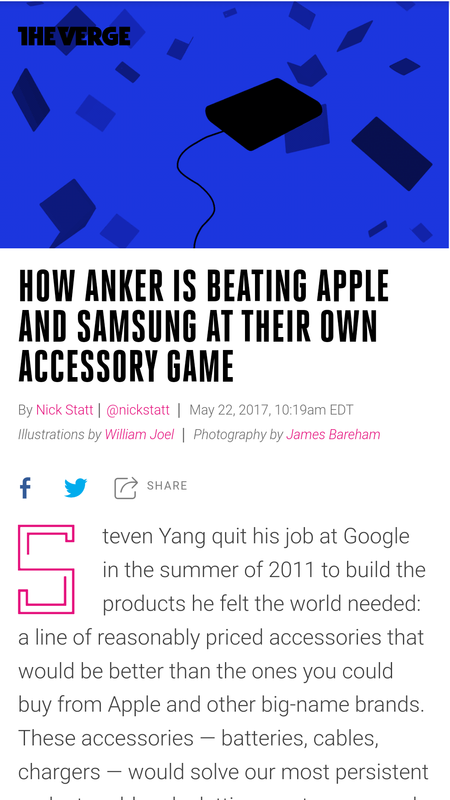 See the full Anker story—from humble beginnings to where we are and where we want to go—as told by our CEO Steven Yang in an exclusive interview with The Verge. A major thanks to all of our loyal fans here and elsewhere. Have an awesome week! To be honest, our customer representatives are busy every day. Each delegate must reply more than 100 emails per day, involving different consumer issues. They also need to respond to the email during the holidays. Idol hands are the devil's workshop right? Glad your team is staying busy. apple puts identification checks/chips in its cables with the purpose to stop the use of third party cables? I believe your right but think it is mostly to assure quality control. Many cable company's like Anker are Apple certified. completely agree. 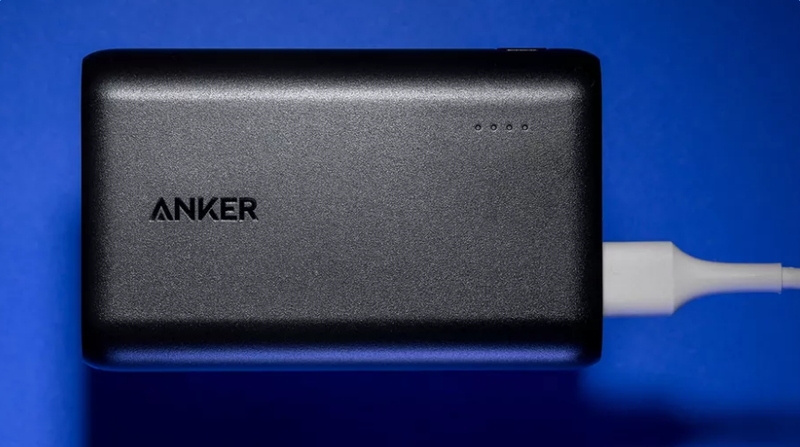 anker is going to keep growing its fanbase with its many new products and outreach strategies. so glad to see anker doing fantastic since I started using their products. AND? What's the difficult part? I did this often when working for various brands. Once I was chucked in the deep end at customer support, dealing with director emails (emails where people use the directors email address) up to TWO years old. Interestingly, they were the easy ones... dear person, so sorry you've been ignored, but I've been brought in to help. Before we go any further and I look into your complaint, there is a £20 shopping voucher on it's way to you, to enjoy while I investigate.... people so easily pleased or MONEY TALKS ... nicely! You should check out Dragon speech to text or use the Google speech to text on your phone or tablet. Oh now I see your problem that's frustrating.